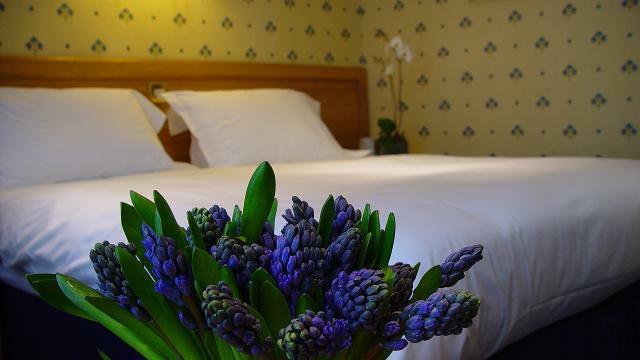 Best Western Burns Hotel is a Grade II Listed Victorian building situated in a quiet Kensington square. It is just a 2-minute walk from Earl's Court Underground Station. Each contemporary room has satellite TV and en suite facilities. Free Wi-Fi internet access is also available for guests to enjoy. Guests may relax in the private walled garden with a drink or plate of food from the light bites menu from the Ellen Terry bar, or dine in the Patio Restaurant. Alternatively, an excellent choice of restaurants, bars and cafés can be reached within 5 minutes’ walk. Best Western Burns Hotel is close to Knightsbridge and a short walk to Kensington Palace, The Royal Albert Hall and the Museums of South Kensington. The Olympia exhibition centre is just a 10-minute walk away. There is a direct link to Heathrow Airport at Earl's Court Underground Station. Is Best Western Burns Hotel your business?